Applying For A Job If You Do Not Meet The Requirements? You are here: Home » Advice and Tips » Education & Career » Applying For A Job If You Do Not Meet The Requirements? A question a great deal of people ask themselves daily is whether they should apply for a job as long as they don’t meet all the necessary qualifications that the job demands. Unfortunately, there is no right answer. 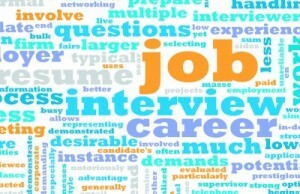 Sometimes you should consider investing more time in looking for jobs where you meet most or all the qualifications. This does not mean that you should not apply for a job you –really- want even if you don’t meet all the skills requested by the employer. We will present some general advice on how to approach things. When applying for a job you need to consider your competition you are facing for that certain position. There is always a possibility the other candidates are just as qualified for the job as you are. This will give you better chances of being picked for an interview. An important factor in determining whether it’s worth trying out for a job even if you don’t meet the qualifications is deciding how much you want the job in the first place. If it shows itself as an ideal position or as something that you would feel really comfortable doing, then this will justify the time that’s about to be invested in what looks to be a long shot. Before deciding to actually apply for the job you should check what qualifications you meet and make a distinction between the requirements and preferences listed by the employer. Meeting more requirements will give you higher chances in landing the job. You have considered all of the above yet your list comes short of meeting all the requirements cited by the employer. You need to ask yourself now if you are willing to commit and develop some skills to fill in the requirements gaps. If so, let your employer know you are motivated and willing to learn and adapt. At the end of all of this you have nothing else to lose but your time in the process. As long as you have the required time, it can be worth sending an application. Jobs that are a stretch should not be your only focus, but rather an alternative. This should not stand in your way of applying for a job you really want. Depending on how well prepared the other candidates are it may be easier than you thought to get the job you wanted. As a single mom, you may not always have all the skills required for the job you want. This does not mean that you should not invest some time and try to apply. The outcome may surprise you.